Verbatim has released a compact wireless Bluetooth mobile keyboard for the iPad and iPhone, which has foldable design and includes a built-in media controls allowing you to play, pause and control your iTunes. The keyboard brings you the full qwerty convenience, making the typing much easier, it is powered by two AAA batteries and comes with a handy carrying case and iPhone stand, which can be easily slid and stored into the keyboard body. 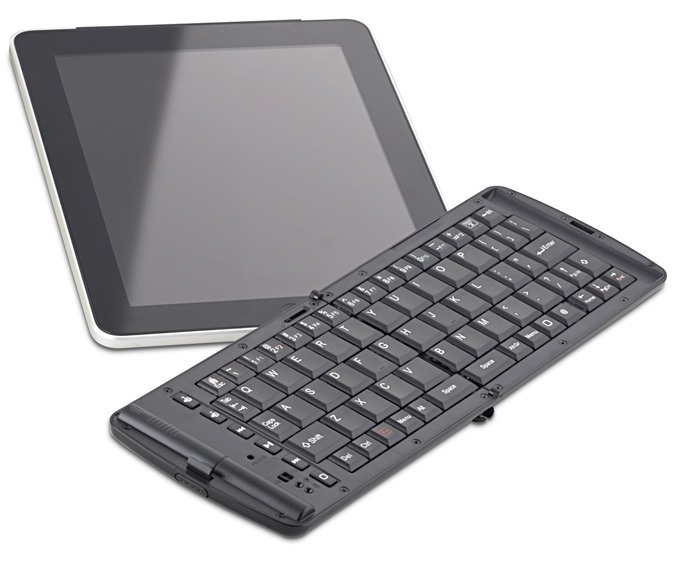 Verbatim’s Wireless Bluetooth Mobile Keyboard is available now at Amazon.com and Fry’s Electronics for$79.99.